This handcrafted necklace is made to hook in the front for a unique look. 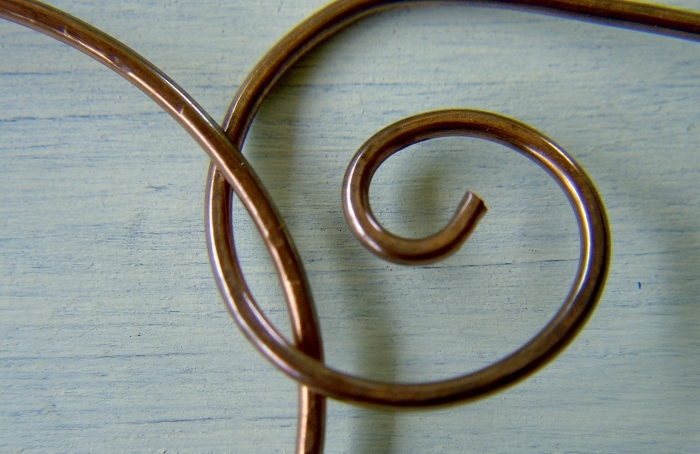 The clasp hooks into a large hammered loop that has handmade charms dangling from it. 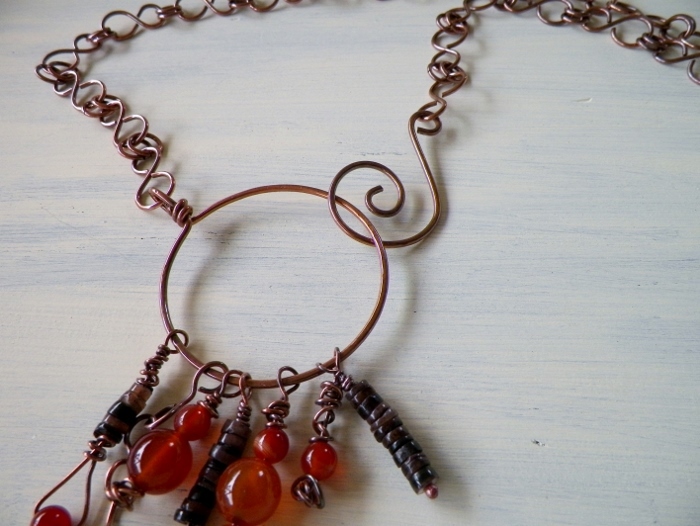 The necklace is made from 100% copper wire. The chain is handcrafted from 16gauge, the clasp and hammered loop made from 14gauge. 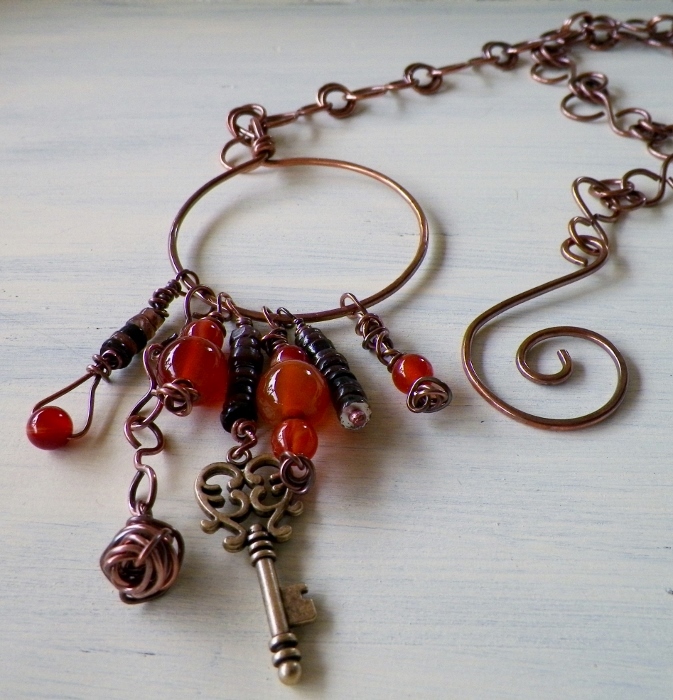 And the 10mm carnelian, 6mm banded agate, 5mm disk shells, copper wire ball, and key charm are all attached with 20gauge hand formed head pins. Oxidized and tumbled to work harden and polish. Necklace measures 30” in length.